You are here: Home » adhesions » Adhesions reform after surgery! unnecessary, without any effect and can be dangerous. 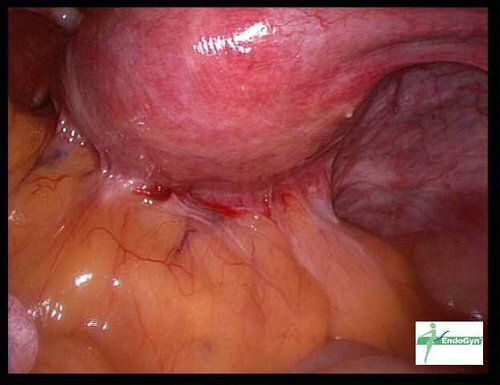 We didn’t apply SprayGel as there was a small lesion of the serosa of the bowel which was sutured. We didn’t use SprayGel in the same procedure due to increasing infection potential in case of suture insufficiency. 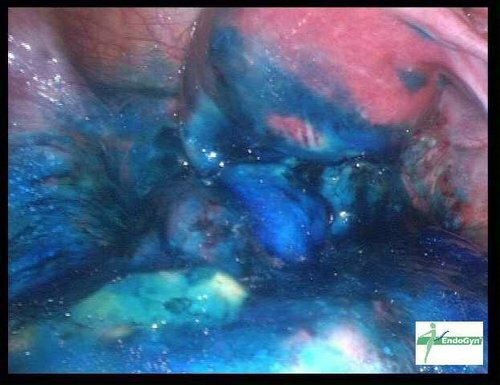 In such cases we perform a second-look around 4 – 5 days later to check if the bowel is ok and apply than SprayShield / SprayGel. So this is how it looks only 4 days later after an ecellent adhesiolysis !!! In this and some other cases we didn’t apply SprayGel in the first procedure, so we could see what is the reality: an adhesiolysis without any adhesion barrier doesn’t work !!! 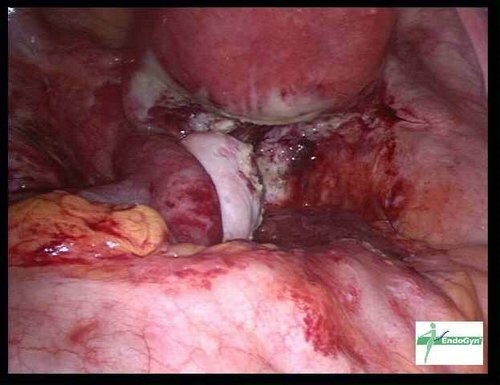 So in OUR concept of adhesion surgery, it is possible in the secon look procedure to check the bowel (it was intact in this case) and to apply SprayShield, that will for sure prevent adhesion reformation. Without SprayShield and without a SECOND-LOOK procedure it would be a real unnecessary and dangerous surgery ! 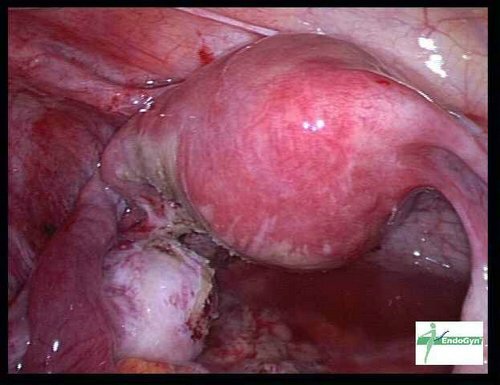 Please be aware of surgery without adequate tools, adhesion barriers (SprayShield) and without a second-look, performed by so called "specialists" with NO concept and infrastructure as suddenly all surgeons are adhesions surgery specialists!